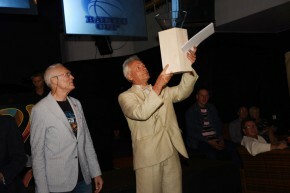 It took a weekend of basketball in the Estonian seaside resort of Parnu to settle the strongest veteran teams in the Baltics, with dominant Lithuanian sides snatching most of the silverware at the Baltic Cup 2015 tournament. Having won five of the eight different age categories, Lithuania finished first in the combined rankings. Estonian teams earned the top spot in two different categories, while Latvia finished with one triumphant team. The best teams and players in all age groups were presented with their trophies on Saturday evening at the award ceremony that took place at the Sunset Club, located on the scenic Parnu beach. In total, 21 teams teams participated in the inaugural edition of the Baltic Cup. The organizers of the event — Estonian, Latvian and Lithuanian veteran associations — hope to make the Baltic Cup an annual tradition. M40 | Winner: Alkajas-Dastra. 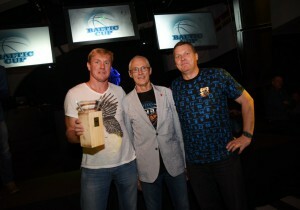 MVP: Virginijus Sirvydis. M45 | Winner: Pakruojo Parketas. MVP: Arunas Seferis. M50 | Winner: Patvanka. MVP: Arvydas Venclovas. M55 | Winner: Salilita. MVP: Vladas Luksa. M60 | Winner: Kalev. MVP: Igor Orlov. M65 | Winner: Vilniaus Statybos Senjorai. MVP: Romas Ramanauskas. W40 | Winner: Estonia. MVP: Kai Lass. W50 | Winner: Tukums. MVP: Zane Rozite.